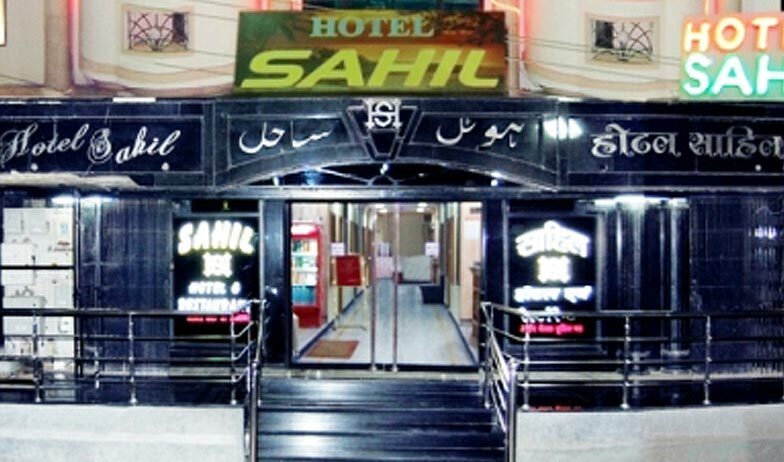 Hotel Sahil is located on Dargah Bazar Road that leads to world famous Dargah Sharif of Khwaja Moinuddin Chishti, a few walks away. It is also closer to famous Lake Anasagar ringed by Aravalli Mountains. Hotel Sahil is there to cater to economic class of tourists, with all comfort, luxury and peace. The hotel can be reached either from Ajmer Junction Railway Station, which is 1 km away, or from Ajmer Bus stand only 2 km away. The nearest airport is Sawai Mansingh International Airport Jaipur, which is about 135 km from Ajmer. The city of heritage calls you to evidence a visit to - Adhai Din Ka Jhopda, Baradari and Ajmer City Museum all at 10 min drive from hotel. Taragarh Fort is cultural heritage site to visit. Frequent buses to Pushkar (only 11 km from Bus Stand) are also available. Take a sunset evening walk to reach famous Lake Anasagar by Anasagar Link Road. For your comfort, Hotel gives pick and drop facility from Airport, Railway station and bus stand. Along with that you can book car on rent for sightseeing in Ajmer & Pushkar. Double Bedded Deluxe Rooms are the budget rooms at Hotel Sahil, suitable for single travelers, leisure travelers and business travelers. These rooms are given bright white color theme on walls and bedding; well contrasted with wooden furniture to add charm to the room. The room window maintains the sunlight warmth in the room. 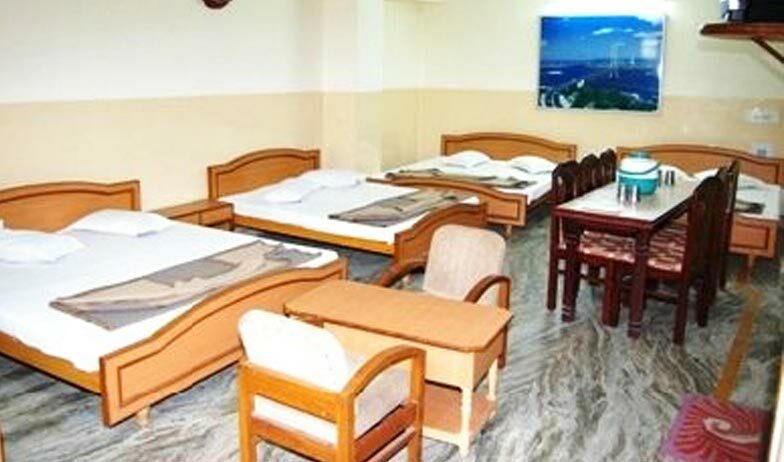 Hotel gives you option to choose air conditioned room or air cooled (Non-A/c) room. The complimentary amenities with your stay are – round the clock room service, cable television, laundry service, Wi-Fi internet access and direct dial telephone calling facility. The rooms have a double bed, in-room safe, a bedside stool and sofa chair. The attached bathroom has 24 hr running hot & cold water facility and basic bathroom toiletries. Triple Bedded Deluxe Rooms are the budget rooms at the Hotel. Rooms are equipped with either air conditioner or air cooler (Non A/c), and provided with a double bed plus a single bed, a multipurpose bedside table, 2 sofa chairs and in-room safe. You also have basic bathroom amenities and 24 hr running hot & cold water facility in the attached private bathroom. These rooms can welcome families and small groups. These rooms are given light pink color theme on walls and bedding, well complemented with dark carpet flooring. The in-room facilities are – hi-speed internet access, cable television, laundry service, 24 hrs room service and direct dial telephone. The room windows open to hotel corridor. Four Bedded Deluxe rooms are setup to welcome families and groups of friends who are visiting this heritage city Ajmer. The spacious bedroom accommodated with 2 double beds, in-room safe, a coffee table & 2 sofa chairs. The room is a bright mix of light purple and white colored theme on walls and ceiling. Enjoy 24 hr room service and apt laundry service. Keep your entertainment level with color television with satellite channels or with hi-speed internet access. Dial direct calls from in-room telephone. The fully furnished attached bathroom has walk-in shower, round the clock running hot & cold water and essential bathroom toiletries. The Six Bedded Deluxe rooms have 3 double beds in a spacious bedroom. A cheerful ambience is maintained with the use of maroon color on walls blended with blue décor. The room is suitable for groups of families or friends visiting this heritage city. The use of artistic wall paintings depicts Rajasthani gatherings. 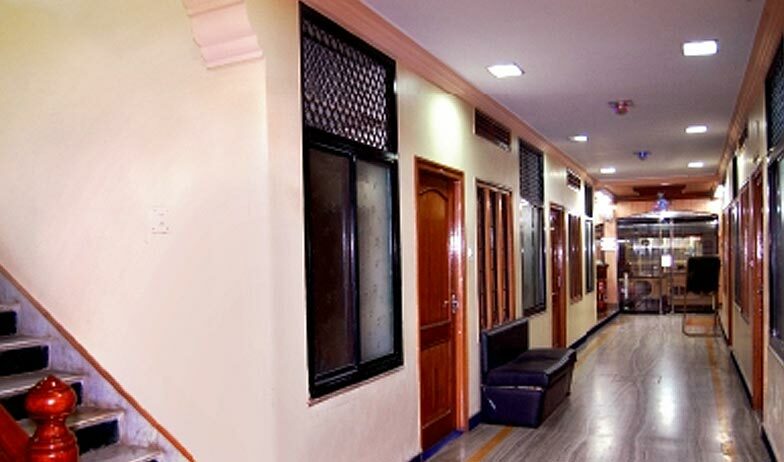 Guests have option to choose fully air conditioned or air cooled (Non-A/c) rooms. The rooms are provided with direct dial calling telephone, Wi-Fi internet access, 24 hr room service, cable television, a coffee table with two sitting chairs, laundry service and executive work desk. The room windows open to City view. The attached bathroom has shower, complimentary bathroom toiletries and 24 hr running hot & cold water. Eight Bedded Deluxe rooms are suitable for large groups of families or groups of friends. You have the option to choose room with air conditioned or air cooler (Non-A/c). The marble floored rooms are provided with 4 double beds, a coffee table with 2 sofa chairs and dining furniture. The rooms are given crème yellow color theme on walls and furnishings. The hand sketched wall paintings and artistically carved ceilings add local touch to the room. The bay window maintains the sunlight warmth in the room that opens to city view and Lake Anasagar in the backdrop. The complimentary amenities with your stay are – round the clock room service, cable television, laundry service, Wi-Fi access and direct dial calling facility. The attached bathroom has walk-in shower, 24 hr running hot & cold water and basic bathroom toiletries. Hotel Sahil Ajmer is a contemporary hotel with a total of 30 elegantly dressed rooms with unimpeachable hygiene standards and modern accessories that are made to satiate the tourists.